The Office is a mockumentary about the modern workplace. We get a glimpse into the lives of the everyday people who work at the Dunder Mifflin paper supply company. As they struggle to compete with big chain stores and modern technology, the Dunder Mifflin staff is in denial about everything – from the possibility of downsizing to their own insignificance. The Office is led by Regional Manager Michael Scott: the awkward, clueless boss who has an inappropriate comment for every situation. Viewers also come to love his receptionist, Pam Beesly and future husband Jim Halpert, the quick-witted sales rep. The target of their humor is usually Dwight Schrute, the goofy and gullible sales rep who also serves as Michael’s right-hand man. The rest of the office staff is equally colorful and full of personality, and their every word and thought is captured on film by a documentary crew. Through everyday events and a series of short interviews, the brutal truth of the American workplace is revealed. Viewers get to know and love the characters with each belly-laughing season. 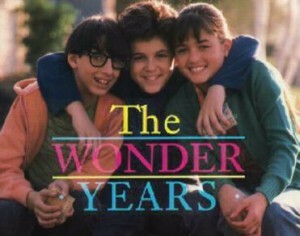 The Wonder Years tells the story of Kevin Arnold facing the trials and tribulations of youth while growing up during the 1960s. Told through narration from an adult Kevin, he faces the difficulties of maintaining relationships and friendships on his way to adulthood. Kevin’s life is populated by several friends and family members including his brother Wayne, sister Karen, mother Norma, father Jack, best friend Paul Pfeiffer, and off-and-on girlfriend Winnie Cooper. A classic show that pre-dated itself so it never gets old. When a young vampire slayer by the name of Buffy Summers, moves to Sunnydale, California, she quickly finds out that Sunnydale is located right on top of the Hellmouth – the center for all evil activity. Her new watcher, Rupert Giles, also happens to be the school librarian. It is his job to train her and guide her in all the skills she needs to be a Slayer. She and a group of close friends, commonly referred to as “The Scooby Gang”, help her in her battle against evil. This show had a fantastic long run breaking down a lot of barriers at that stage of cable TV. The show follows a group of geeks and a group of burnouts at McKinley High School in 1980, both centering on the Weir siblings. The oldest sibling, Lindsay Weir, rebels from the Mathlete life and into the world of the burn-outs. Sam Weir is an underdeveloped geek whose unrequited love of cheerleader Cindy Sanders drives much of the geek story lines. Sam faces the torment and humiliation of daily life in high school with friends Neil and Bill. 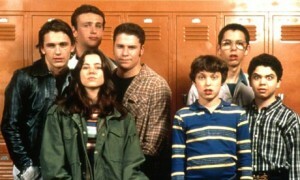 Freaks and Geeks is a short lived show full of great episodes, and also a great glimpse into the young careers of some of today’s biggest stars. In the small town of Dillon, Texas, football is everything. The team to beat is the Panthers, who are coached by newbie High School Coach Eric Taylor. Coming back after winning the State Championship, the Panthers will need all the help they can get once the next football season arrives, amidst all the personal dramas and injuries. This series was originally based on the book and movie Friday Night Lights. After Oceanic Air flight 815 tore apart in mid-air and crashed on a Pacific island, its survivors were forced to find means to survive. But they discovered that the island holds many secrets, including a mysterious smoke monster, polar bears, a strange French woman and another group of island residents known as ‘The Others’. The survivors have also found that they were all meant to be on the flight that crashed, and also learned signs of those who came to the island before them, including a 19th century sailing ship called The Black Rock, the remains of an ancient statue and bunkers belonging to the Dharma Initiative, a group of scientific researchers. Arrested Development revolves around the excessive lifestyles of the dysfunctional and formerly very wealthy Bluth family. After the Bluths lost their fortune due to shifty accounting practices by the family patriarch, George Bluth, Sr., George’s son, Michael Bluth, the “normal one” of the family is forced to live in Orange County to run the family business while his father is in prison. Now, Michael has to piece together what’s left of the family business while struggling to teach his family how to live without the endless expense account they’re used to. All the while, Michael strives to set a good example for his teenaged son, George Michael, a serious, work-driven kid, much like his father, who works meticulously at the family’s famous frozen banana stand. Bryan Cranston stars in this drama focused on a mid-life crisis gone bad for an underachieving high school chemistry teacher who becomes a drug dealer after discovering he has lung cancer. 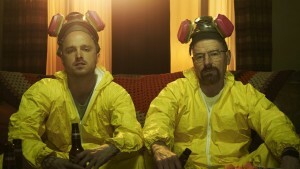 With a new sense of fearlessness based on his medical prognosis, and a desire to gain financial security for his family, Walter White joins forces with an old student, Jesse Pinkman, in a quest that follows their entry into a dangerous world of drugs and crime. 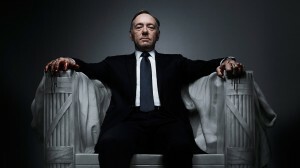 House of Cards is a look into the shifty politics and the underhand of U.S. electoral politics. The one-hour drama follows Frank Underwood, an ambitious politician with his eye on the top job. With the Secretary of State promotion he was hoping for out of reach, Frank seeks to right the wrong that has been done to him.